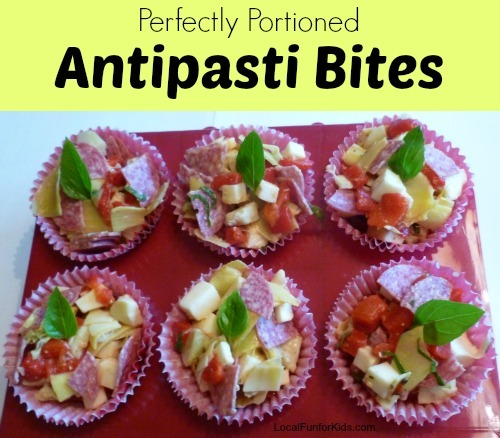 This past week, I went to Walmart to buy some ingredients for this amazingly simple Antipasti recipe. The thing I love about this recipe is that it's so easy to make, but I think it's tastes and looks much more impressive. This dish, which was inspired by Rachael Ray, is perfectly portioned and looks like it came from a gourmet catering company. No one would ever know that you whipped it up using Tyson Salami and a few other simple ingredients. I often buy packs of pepperoni to keep on hand for homemade pizza and snacks for my kids. My 5-year-old could eat it by the handful. 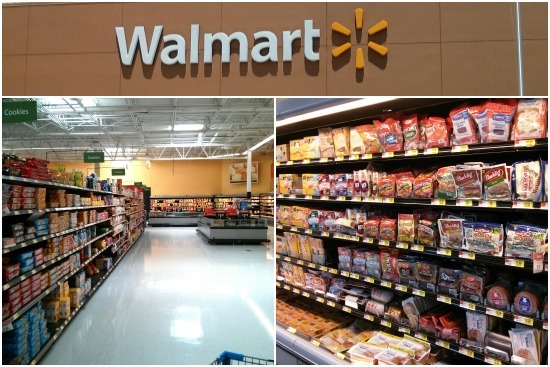 While at Walmart, these recipe-ready toppings were really easy to to find with all of the packaged deli meats in the refrigerator section. Tyson makes a few varieties of toppings including the Hard Salami which is a really nice alternative to the traditional pepperoni. To me, pepperoni is great for everyday recipes, but salami give it a special touch and seems much fancier. My son helped me shop for all of the ingredients. The store was not crowded at all, which made it a nice experience. After picking up a few more things (including the pickles and Cheez-Its that he was craving) we headed to the register and we're ready to make the antipasti. 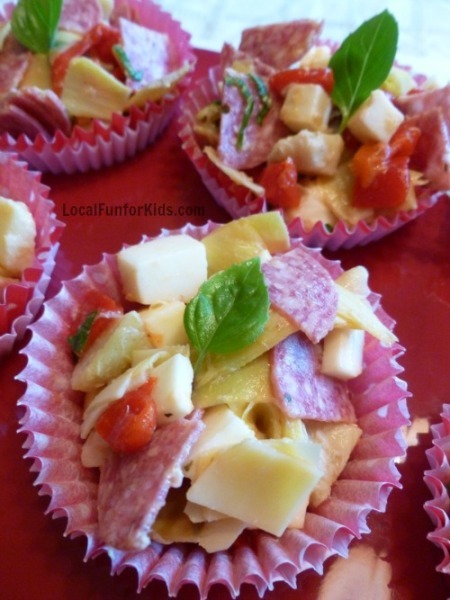 You will also need grease proof cupcake liners to make individual portions of the Antipasti salad. This is because the roasted red peppers and artichokes are a bit wet, and these special cup-cake liners will hold up best. First, drain the roasted red peppers and artichoke hearts very well. Cut the mozzarella cheese, roasted red pepper, and artichoke hearts into small bite-size pieces. Then, cut the basil up into fine pieces, and cut the Tyson Hard Salami into quarters. Mix it all up and garnish with more fresh basil. This recipe was extremely easy to make and tastes so good! Plus, having it all pre-portioned and easily transportable in my cupcake carrier makes it a great appetizer to bring to upcoming summer bbq's and parties. I hope you try this recipe as an appetizer or add it to a bed of lettuce drizzled with balsamic vinegar for the perfect meal solution. Do you use Tyson toppings on any of your favorite meals or appetizers? Follow Tyson Foods on Facebook for more easy recipe ideas. See more photos in Local Fun for Kids Google+ Album!